One of the most consistent topics in the 4 years we have been having the Social Media and Community 2.0 Strategies Conference is the need to demonstrate ROI in our Social Media and Community programs. We have had some great speakers over the years that have helped us all understand the ways to measure your programs. We also have some great speakers coming to this year’s event. Below are a couple of generic scorecard examples to show how people are demonstrating their ROI. We have one example support based scorecard and another marketing example. Our experts hope this will help you with ideas for what you should measure! To learn the nitty gritty about how to create a scorecard that demonstrates the ROI that aligns with your business goals join Cindy Meltzer’s session on “Beyond the Theory of Measuring” at this year’s Social Media & Community 2.0 Strategies Conference. Do you have example measures that we missed? This post is co-posted with The Green Book. In the fifth installment of our series of interviews with presenters at the IIR Technology Driven Market Research event (May 2-3, Chicago), I go head to head with renowned industry business leader, blogger, speaker, and founder of the ‘Next Generation Market Research’ social network: Tom Anderson. Tom and I met via social media (of course!) as I began to explore various platforms and networks back in 2008. He stood out to me as someone who had obviously learned to leverage the power of multiple social media channels to grow his brand, and honestly was a bit of an inspiration to me in developing my own strategy. As we began to interact I quickly learned that he was a passionate and outspoken advocate for change in our industry, and although perhaps he is a lightning rod for controversy, his wit, intellect, and integrity shine through. We’ve butted heads a few times and don’t always agree on things, but I’ve learned to value his perceptions, experience, and business acumen. I’ve been lucky enough to work with Tom on a few things now, and it is always interesting! So, it’s with great pleasure that I get to share with you my interview with Tom. I hope you enjoy it! LM: Tom, thanks so much for making the time to do this; I know you have a lot on your plate now. TA: I’m happy to do it Lenny; it’s always fun and interesting talking with you. LM: Well, the feelings mutual my friend! Let’s jump right into things. You have built quite the reputation for yourself as a thought leader and advocate for disruptive change in the market research industry, with many people paying attention to your blog and the activity on the Next Gen Market Research LinkedIn Group. Why do you think you’ve struck a chord with the research industry? TA: I never expected anyone to read my blog or follow me on Twitter. Both of those were an internal ‘research on research’ thing. Because of all our work with text analytics, Anderson Analytics was being asked to do more and more with social media, including screen scraping and blog mining. I figured if we were going to be analyzing what bloggers and tweeters said it would be a good idea to understand how it works from the other side. The biggest revelation was how much traffic it generated. LinkedIn was a different story. I realized from the start the value of a large professional network. So, in analyzing why the blog is so popular in retrospect, there are several reasons. I think perhaps foremost is that professionals in our industry who still bother reading anything related to market research are tired to death of reading about another study comparing Likert scales in different countries. I’ve been in research in some role for more or less my entire working life, so I’m perfectly comfortable talking about any research methodology, including the most advanced. But most of us, especially clients, certainly aren’t interested in reading another article about an old research technique. Unless of course you’re new to research, in which case there are several good statistics books and training seminars available. No, they are interested in, and realize that to get ahead you need to gain, an information advantage. And you don’t get an information advantage by doing what everyone else has been doing forever. LM: What do you think are the major drivers of change in the market research space right now and how are you guiding Anderson Analytics to take advantage of those trends? TA: There is convergence between all marketing disciplines (MR, CI, PR, Advertising, CRM…) and even BI/IT. We’re all scrambling to become more quantitative, more automated, more powerful and social media because of the reach, engagement level and measurable nature seems to be one of the main targets for us all. I believe if you can discern the cute useless stuff from what really can generate actionable insights, and do it before others, that’s how to get ahead. LM: So has social media (including blogs, groups, twitter, etc’) emerged as the home of thought leadership and innovation vs. traditional media channels? What does that mean for industry trade organizations, publications, events, etc’? I don’t know about thought leadership. I guess that’s how some of the traditional channels would like to refer to those who are frequently featured at their events/articles. I have never tried to reach this ‘Good Ole Boys’ group, at least not purposefully, since they have not been our customers. Since 2005 my firms’ key focus has been on reaching fortune 1000 client side market research buyers. Most of them don’t care about the ‘traditional channels’, wouldn’t attend an MR specific conference or read an MR specific journal/magazine. They will however Google a certain topic if they need info on something. So if they Google “market research and text analytics” or “segmentation textanalytics” for instance, I want Anderson Analytics to come up in the first page of the results. That usually means they’ll call us. Now admittedly, I’ve been asked to speak at A LOT of conferences during the past few years, and early on I wrote a few articles and white papers. I think a certain amount of that is good for credibility. But to me the advantage of social media is closing the distance between you and your customers. It’s getting to know people virtually. I usually say what I want and say it honestly. This is rare these days, believe it or not. So I find most appreciate that, whether or not they agree with me. The purpose of social media for me is not about thought leadership, it’s about creating relationships over time. And it’s self serving, because the reason I do it is so I won’t have to travel all over the place to conferences or in person new client calls! LM: You’re considered an expert on Text Analytics and I know you are doing a lot of interesting things in that arena right now. First, what can you tell me about what you’re doing, and second, where does Text Analytics fit within the range of ‘traditional’ and ‘emerging’ tools? Is it best used as an adjunct to other methods to help, as you say, ‘discern the cute from the actionable’, especially within social media data sets, or is it a standalone method in itself? TM: I’m afraid there is not a lot I’m allowed to tell you right now about the software we’re working on, though a lot of our early work on best practices in text analytics is available on our website or in journals/market research text books. As for “Text Analytics” in general, while it’s certainly still emerging, and is now doing so faster than ever before, it’s not something I would place on a scale of methodologies. That would be sort of like asking “are the use of numbers a traditional or emerging tool of research?”. While the technology to leverage text is here now, few have done so intelligently. What I am seeing though with both text analytics as well as social media analytics is a lot of amateurs claiming they have either built useful software or know how to leverage these tools properly. In fact though, in some ways I think what we’re seeing is similar to what happened when HTML first became popular. A lot of amateurs came out claiming they could build your website for you. Do you remember how bad it was? Flashing buttons, bad content management, a lot of “under construction” images. Do you remember why that ended (Thank God)? The younger generation picked it up, came out of college proficient at it. Those graphic designers who were tech savvy enough created best practices around its use. Eventually these skills were absorbed into companies across the board. That’s what will probably soon happen with these two areas of research. But for the moment we have to avert our eyes from all the blinking and cute poorly thought out software and consulting advice. But don’t get me wrong, they’re definitely both here to stay! LM: You’ve taken some pretty controversial public stances on issues like offshoring, ISOs, privacy, and the roles of trade bodies in supporting the industry. I can’t see where you’ve suffered any ill effects despite pressure from a few different sources; quite the contrary, your visibility seems to be increasing. First, can you explain why you’ve taken the positions that you have and second, how do you feel about being the ‘voice of dissent’ within our industry? TA: Are they controversial stances if the majority of your peers agree with you? FTO and ISO, while different things, are also closely related. I’ll start with ISO though. Cute quality programs come and go. They are made popular by those who profit most from them, usually the consultants who push them (in this case two research trade orgs as well). During my career I’ve had to sit through training on “Quality Circles”, “TQM”, and “Six Sigma” to name a few. If any of these have a place anywhere in business, it’s in manufacturing, not in something as far up the value chain as market research. As CEO of a market research company I certainly was going to voice my opinion on a proposed measure that would eat up a lot of time and money and create absolutely no advantage for my firm. Now if you believe that rather than sophisticated research which relies as much on science as art, and is usually rather customized, you are in the business of making simple widgets, then ISO might make sense. Standardize the widget making process to reduce error, controlling to make sure each widget in the process is never off by more than +/- 1mm in size, well then great! You’ve successfully commoditized it so that you can look for the lowest cost country around to produce the widget without risking quality. That’s, in my opinion, why these trade organizations thought the ISO process might take hold. The top ten research firms, who also are the largest revenue source for the trade orgs have invested a lot in captive offshore centers. The ISO process would then help legitimize this practice, which by the way is done very quietly. The Foundation for Offshoring Transparency (FTO) on the other hand was seen as a threat by these organizations for this very reason. I’m a believer in transparency and doing what’s right. With the legal risk and protection related to both PII (personally identifiable information) and IP (intellectual property) varying so greatly from country to country, not being totally upfront with your clients about what you are offshoring and where was something I felt was totally irresponsible. That’s why the FTO is more popular than ISO, and why the majority of the 855 market researchers on the supplier side and all on the client side we surveyed on the topic strongly supported the ideals of the FTO. Had there been similar research conducted on ISO, I’m sure we wouldn’t be having this conversation. LM: At the Technology Driven Market Research event you’re part of a panel debate on the topic of Social Media: Scientific Technology or Business Practice. Now I think I know your answer as it relates to the analysis of social media data via text analytics (scientific technology, right? ), but what is your overall take on the impact, and ultimate evolution of, social media in the research space? TA: Social media is an awesome marketing and PR tool. Not only that, but for the first time it’s getting possible to measure ROI in a number of ways not possible before. This is the low hanging fruit for research now. Companies will only continue to increase their marketing spend in this area, and so there will be greater demand and pressure to prove ROI on this spend. Companies will want to know who they are reaching and how effective their campaigns are and how to improve them. What I don’t understand or agree with on the other hand is trying to force every single research problem onto social media. Just plain silly to think you can, at least as it is currently. Don’t get me wrong; we are not even close to leveraging social media for research at its full potential. But some of the amateurish Twitter based studies that are being touted as innovative research, well that’s what I was referring to earlier in my comparison to amateur website developers 10 years ago. That will be coming to a halt, thank God! There are already so many ways we could technically leverage social media for exponential gains in insight that we never dreamed were possible. However, we’re not likely to see these anytime soon, at least not from traditional research. Traditional research is very risk averse, not just in terms of privacy, but also in investing dollars without a sure return. So these innovations will either come from client side or ad agencies, BI/IT, a major social network, or dare I say even from academia. I hope I’m wrong here, but from what I know about the MR industry we just don’t have the R&D budgets to truly test the possibilities. LM: Last week it was released that Anderson Analytics was perceived to be one of the Top 10 Most Innovative companies in the industry, and in the multivariate analysis there were some surprising results for you regarding how your company is perceived in relation to some of the largest in the industry. What is your take on the results? TA: I guess social media marketing really does work! Seriously though, I was touched to see that so many voted for us. I really wasn’t surprised that there were just as many small companies mentioned as billion dollar companies, exactly five of each I believe. Large companies just haven’t been able to wrap their heads around this new marketing as well as small and medium sized players. In terms of Anderson Analytics positioning on the chart next to Nielsen, well I kind of talked to that on my blog a little. While I’ve been a big proponent of new techniques, especially advanced analytics and data mining including text analytics, everything we’ve been doing is based on sound methodology. So I think it speaks to the fact that the work Anderson Analytics has done, whether for clients or presentations at conferences, white papers etc. is of high methodological caliber. We’re not about anything goes and pretty twitter word clouds. So while at first it was a bit surprising to not be considered more “Disruptively Innovative”, I’m glad that almost the same type of customer who considers Nielsen will also considers Anderson Analytics. This is after all where I came from, and I value and respect these classically trained researchers immensely. LM: So what’s next for Anderson Analytics, NGMR, FTO, etc..? What new tricks do you have up your sleeve for 2011 and beyond? TA: That’s a great question and a tough one I’m struggling with right now. Our industry is changing fast. I see a lot of opportunities and my viewpoint on full service research has changed quite a bit since starting Anderson Analytics. I think there’s a lot of opportunity for analytics right now. However I think the old way of growing a research firm by adding consultants in various sectors is coming to an end. You can’t fight the DIY trend. Data is everywhere, and clients want a hand in how it is analyzed. I believe the new frontier for us is in helping clients do just that. LM: OK, last question Tom. I know you work like a madman, but tell me about your downtime. What do you like to do to relax? Any hobbies, interests, or passions? What’s an average Saturday night like at the Anderson household? TA: The toughest questions for last huh? My wife and I were grew up in families that traveled a lot and lived abroad, so we were both exposed to a lot of different cultures in US, Europe and Asia. That has stuck with us and so we enjoy travel and food. If I speak at a conference somewhere interesting and she can get away from work we always try to mix business with pleasure. But that’s where our similarities end. She’s a city girl so every chance she gets she’ll try to drag me into NYC to a restaurant, play or for shopping. I don’t mind too much, but to recharge I much prefer heading the opposite way, North to our family cabin and back to nature. Not her idea of excitement! So on any given Saturday, the situation may be very different. LM: Sounds like a good life Tom; thanks for sharing. And thanks for your time and openness; this has been great. I’ll look forward to seeing you in Chicago at the Tech Driven Market Research event! TA: Thanks Lenny, this has been good and I’m always happy to chat with you! See you in Chicago. Tom H. C. Anderson is the founder and managing partner of Anderson Analytics, a full-service market research consultancy that takes a ‘next generation’ approach to research by fusing advanced analytics and traditional methodologies with leading edge technologies like data and text mining. Recently named one of the industry’s “Four under 40″ market research leaders by the American Marketing Association (2010), Tom has also been proclaimed the ‘Uncrowned Father of Web 3.0 Market Research’ (Research Business Report, 2009). In addition, Tom is a prominent blogger, recognized authority on social media, and the founder of Next Gen Market Research (NGMR), one of the most active networking groups for market researchers on the Web. Tom is chairman of the Foundation for Transparency in Offshoring (FTO), a non-profit organization he founded in 2009 dedicated to educating buyers and suppliers of consumer research and analytics services on considerations related to offshoring, and to promoting disclosure standards. Tom is a frequent lecturer at universities and industry conferences, and has been widely published in trade journals and decision science texts. He has previously held positions at global marketing research companies including TNS, NFO Worldwide, and ACNielsen BASES. Tom holds an MBA in Marketing, Finance and International Business from the University of Connecticut and a Master of Economics from Lund University, Sweden. Flashback Friday: OMG! We Need to Do Social Media! A Look Back at SMC2010: OMG! We Need to Do Social Media! 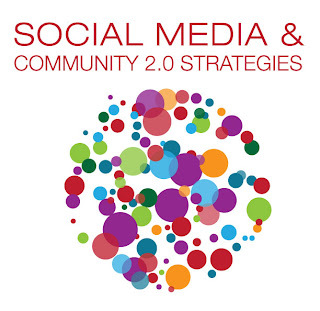 Social Media and Community 2.0 Strategies is taking place April 4-6, 2011, in Boston, Massachusetts. Fridays leading up to the event, we’ll be recapping one of the sessions from the 2010 Social Media & Community 2.0 Strategies Event. For more information on this year’s event, download the brochure. Start small. Try Twitter first; it’s easy to manage and understand. Meet with legal & HR early and often. Otherwise, if you surprise them all of a sudden with a crisis, they’ll probably take forever. Damage gets done when you can’t respond in real-time. Engage them where they are, and in their language. Don’t go storming into a chatroom at a socnet, where you haven’t introduced yourself, and be like, “I’m great! By AAA.” You’ll get spanked. Work the feedback loop. Make sure the data you glean goes back to your customer support team or whomever the most relevant department is. Don’t shove undistilled social media reports onto everybody; feed the feedback loop appropriately, so it can actually make a difference in your product line and the brand experience. Make it interactive; provide viral incentives. Bear in mind you can’t make a viral campaign; it involves a lot of luck, good planning and good community rapport. Prepare for the unexpected. If a firestorm happens, make sure there’s a real-time escalation pattern, with people already identified to manage it. (Handy Pulp Fiction reference: identify THE WOLF.) “Make sure you have that path identified [beforehand],” because whatever your response, you need to respond in real-time. Don’t try controlling the convo. Be thankful! Recognize people helpin’ you out, say nice things. Don’t be too salesy. It’s hard to be friends with that “always-on” personality. Don’t be afraid to have fun! And remember: To do the social media thing right, it takes a lot of time. You have to get to know your community to learn what to pull out, how best to talk to them. Don’t underestimate the amount of time developing that intuition will take. Looking back, did you start a social media campaign or presence in 2010? Did you find these tips helpful? Social Media & Community 2.0 Strategies prides itself on sharing real world stories on establishing new practices for building relationships with markets in a social world. Cross-industry marketing, social media and community experts and gurus will be on-hand to share the strategies behind their success. From setting your social media strategy, to operationalizing it, to measuring the results, this event covers it all. 1. It’s the first all client-side case study-based event focused on social media as a driver of business results. 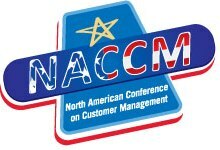 Hear from: AT&T Interactive, Best Buy, Dell, General Motors, Unilever and many more! 2. The program focuses on what really matters – the Strategy, Operation and Results of social media on your business. 3. All new keynote presentations by industry gurus, including Marc Gob? ?, Scott Stratten, Michael Tchong and James Fowler. 4. NEW for 2011′An All Day Primer on Social Gaming: Explore a new realm of social behavior and dig deeper into the virtual world of gaming. 5. Social Media 101 Primer’Refresh your social media skills and perfect your social engagement. Strengthen the social media strategy for your company. 6. Learn the strategies and catch the next wave of social media before your competition does ‘they’ve already signed up to attend, have you? No matter what business you’re in, Social Media & Community 2.0 Strategies will share the tools, techniques and knowledge you need to use social media strategically to drive business results. As a reader of the Social Media and Community 2.0 blog, you will save 15% off the standard price when you register and mention priority code SOCIAL11BLOG5. Join us this April and find out what’s working, what’s not and where the future of social media is headed. Register today to secure your spot and save! If you have any questions about the agenda, feel free to contact me, Michelle LeBlanc, at MLeBlanc@iirusa.com. We hope to see you in Boston this April! Many of us in the research field are interested in the insights that our customers are sharing on Social Media properties every day. Listening platforms are a great way to sift through the volumes of information to gain the nuggets of useful data. The question is how to select a platform and how to use it. 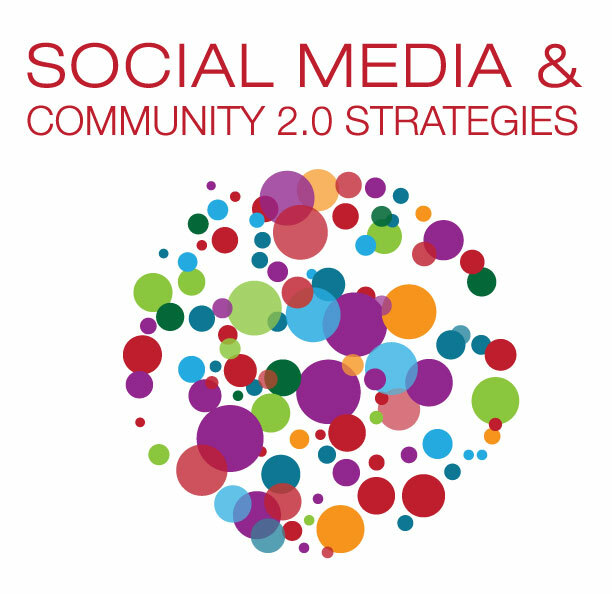 The Social Media and Community 2.0 Strategies blog has been featuring the considerations for selecting Social Media and Community technologies. The current insights are focused on how to select a listening platform. Nygel gives us several things to consider in his post. The three previous posts about broader community software also offer great advice on the creation of a strategy before you buy software. “Selecting An SM Monitoring Tool” by Nygel Weishar, Sysmos Inc.
With millions upon millions of unique conversations taking place in the social media realm daily, the question is not if social media is useful, but rather: how do we make it useful to us? There are 100′s of billions of conversations that have already taken place, not to mention about to happen, and this highlights the need for a place to aggregate the data. This is where Sysomos and other social media monitoring tools come into place. But which one do you choose? As most effective research projects start, the individual should first decide what they need to find out/prove and ways this data could be presented. Is there a current Social Media goal? Or is the need to understand a specific Market or Topic? This will define the things that are important to the project and will ultimately outline the main things to look for in a tool. What sources are being crawled? Are the appropriate results even available? Is the tool flexible enough to satisfy my requirements? On top of data being presented, it is also equally important to qualify who will be using the tool and the learning curve necessary to be effective using it. (Just because the tool can do it, doesn’t mean it is easy to do.) Being able to quickly/easily find the necessary information not to mention present it to the appropriate audience so that it makes sense are both crucial things to consider. Some other things to keep in mind would be budget, scope, and integration. What is the pricing structure? Is there a flat fee? Am I penalized by the amount of data/users I have in the system? All of these things will be crucial in defining if a solution will even be affordable. That being said, many tools provide varying ranges in coverage as well. It’s important to know that the scope of your project is feasible with the tool of choice. What geographic regions need to be covered? How many languages are included in the tool? Finally, integration is an area we are getting more requests for lately and this entails features like: CRM’s, Fanpages, Twitter Accounts, etc. By integrating directly to a tool, marketers can streamline engagement processes and provide even deeper insights regarding the topic of interest. Social media as most know is a continually growing and evolving organism. Be sure to have a solid grasp on what you hope to gain from social media and ask the ultimate question: Is this something you can use effectively? Who’s Already Registered to Attend Technology Driven Market Research? Join us this May 2-3, 2011; in Chicago at the Technology Driven Market Research Event as we discuss, explore and debate the latest technologies and the resulting impact they are having on the market research industry. Who has already decided to join us this May? As a reader of The Market Research Event Blog, we’re offering you an exclusive discount of 15% off the standard price when using discount code TDMR11Blog. Register here. If you have any questions about this event, feel free to contact Jennifer Pereira at jpereira@iirusa.com. Between reading about the recent addition of ICE (Interactive Customer Experience’) TV and Mobile programs, a virtual, interactive concierge service, to the newly opened JW Marriott Indianapolis Downtown and learning the results of the most recent J.D. Power and Associates study on customer satisfaction‘wherein automated response systems did nearly as well as the industry average satisfaction level’it seems clear that automated customer service and customer service systems are a trend with staying power. American Airlines, as we discussed last week, also offers mobile applications to keep customer experiences stress free, such as the Mobile Boarding Pass system. What is your company doing when it comes to automated response systems and mobile technology? Do you see mobile apps as a potential time and money saving device? Or is developing and maintaining mobile technology seen as an additional unneeded expense? If you are developing mobile technology, will it be proactive’such as the American Airlines or ICE applications, which address customer needs before a problem arises’or reactive, such as a direct link to customer service questions? Share with us in the comments! In today’s newly defined social economy, social media and community culture are fundamentally reinventing the ways in which we communicate and engage with our customers, and our markets. It’s impossible to ignore the growth of social media and communication through these channels is becoming the “new normal”. Social Media & Co mmunity 2.0 Strategies prides itself on sharing real world stories on establishing new practices for building relationships with markets in a social world. Cross-industry marketing, social media and community experts and gurus will be on-hand to share the strategies behind their success. Hear how Unilever integrates social media, traditional media efforts, as well as WOM marketing to create a strong promotional campaign. Learn what technologies they are using, why it’s working, and the role it plays in their brand strategy. A case study on how a good integrated marketing communication program was made great through engaging Social Listening tools. The tools were able to “crack the code”, getting to much richer insight into specific consumer values, needs and behaviors. Now that more than 60% of Americans have a social network profile, media and marketing are inundated by a wave of change. Follow along as Michael takes you on a roller-coaster ride through the social media landscape and reveals how this new dialog is uprooting society. This insightful tour covers such leading-edge topics as fan pages, buzz monitoring, social listening and intelligence, control panels, hash tags, link tracking, social APIs, location-based mobile apps and social currency. Download the brochure for full conference details here. Be a part of the evolution and register today! As a reader of the Social Media and Community 2.0 blog, you will save 15% off the standard price when you register here with mention priority code SOCIAL11BLOG4 when you register before Friday, February 25.